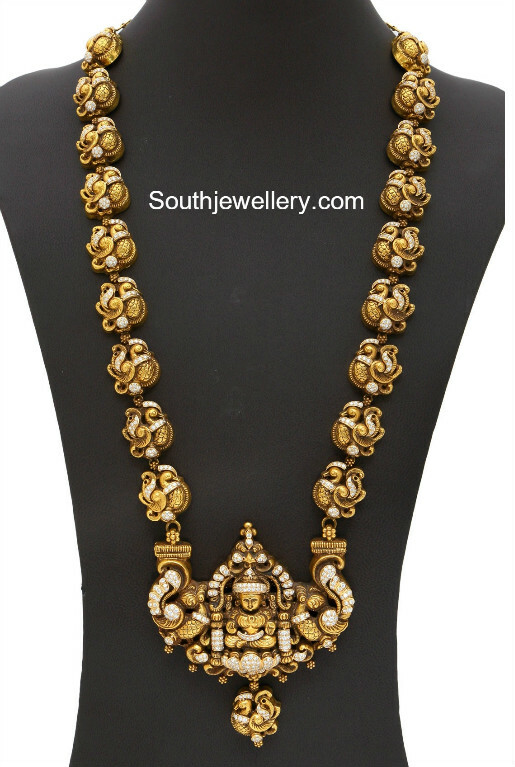 22 carat gold antique mango mala designs studded with kundans. 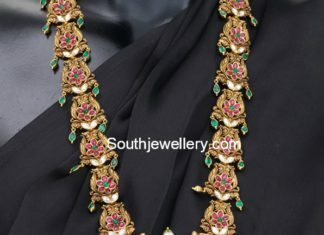 22 carat gold antique peacock long haram studded with kundans and polki diamonds. 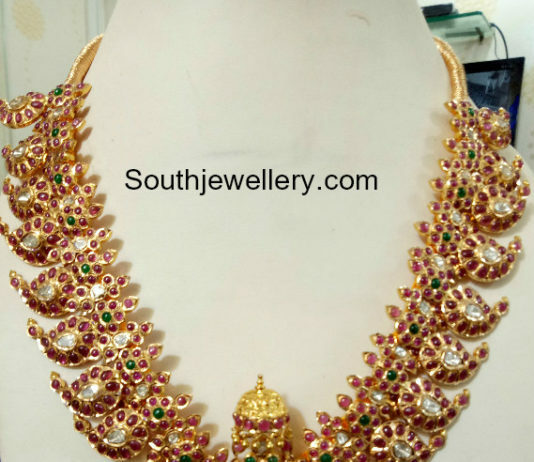 22 carat gold three line kundan haram with antique peacock nakshi pendant by Kalasha Fine Jewels. 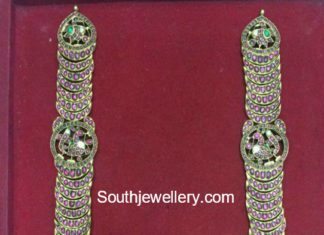 22 carat gold antique nakshi long haram studded with kundans and polkis by Kalasha Fine Jewels. 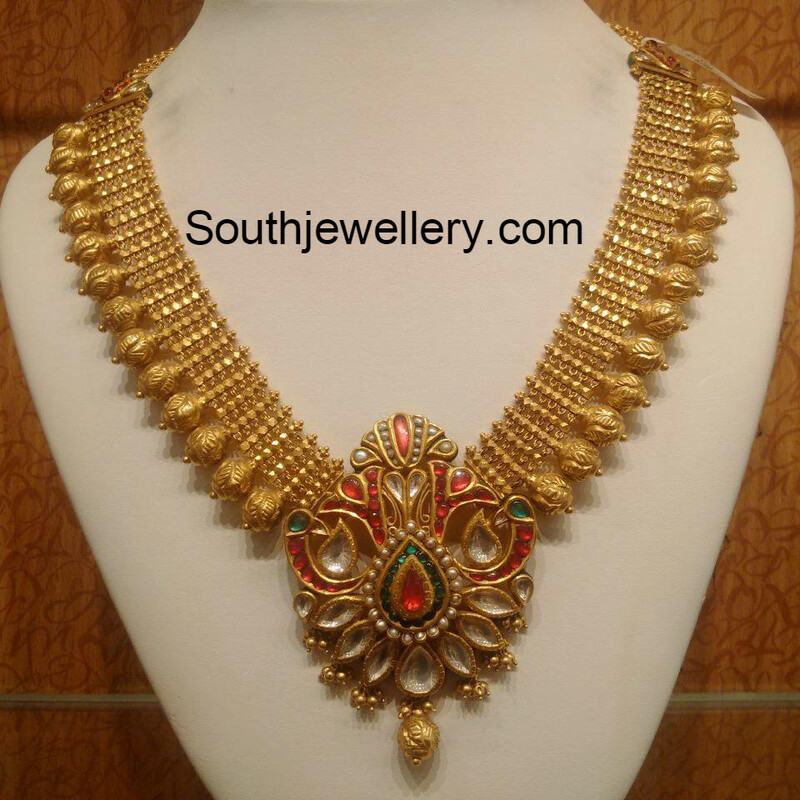 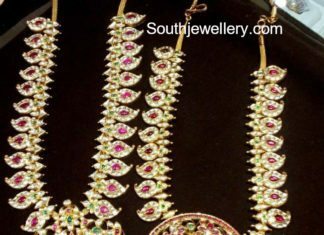 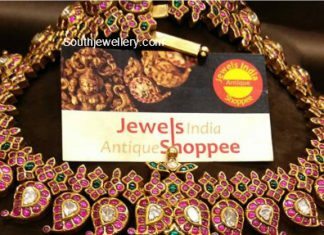 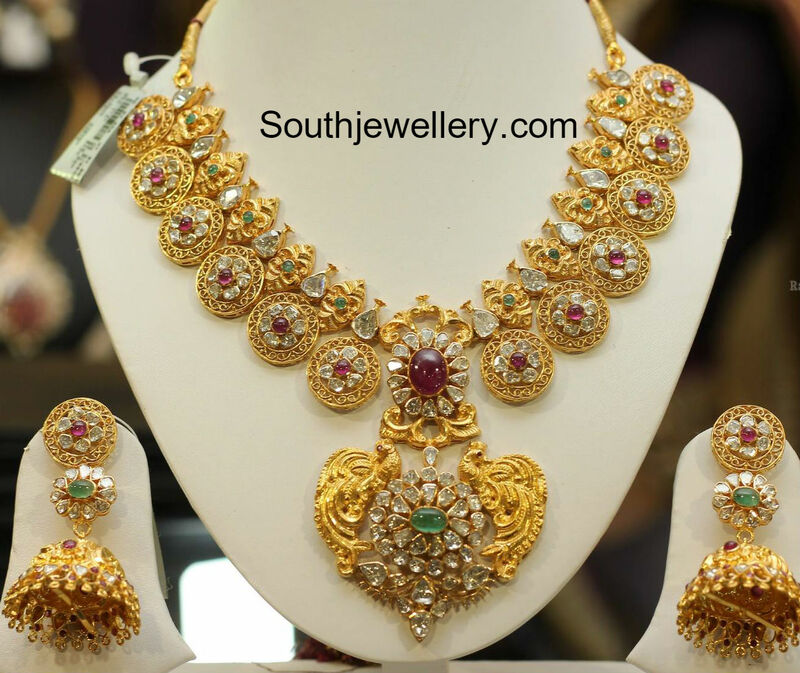 22 carat gold antique kundan mango necklace with step pendant.